Cremona, April 3 – Provided by Simona Diale/IHP – The second day of competition in Cremona, Italy, where the eleventh edition of the National Reining Horse Association (NRHA) European Futurity is held, saw riders competing in the second section of the €162,223–added* (subject to change in nominations) NRHA European Open Futurity qualifier. 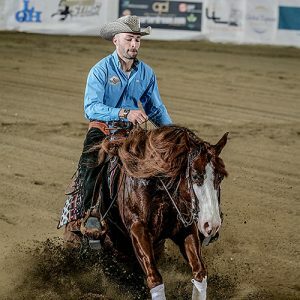 Once the last horse-rider combination left the show arena, leading the Level (L)4 Open division was Gennaro Lendi aboard Grey Stone Ranch’s Showgirl Shining Gun, a mare nominated by Vincent Miot. The duo had posted a 220 in the first section. 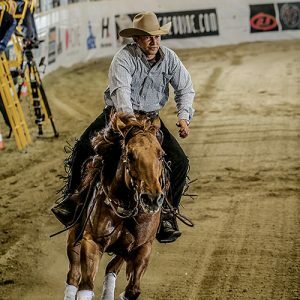 A half-point behind the go-round leaders were the 2018 IRHA/IRHBA/NRHA L4 Open Futurity Champions, NRHA Two Million Dollar Rider Bernard Fonck and Spook Sunburst (Great Sun Burst x All About Spook), a gelding owned and nominated by Koen Symoens. The pair posted the highest score in the second section. The bubble score to make the L4 finals was a 214.5. 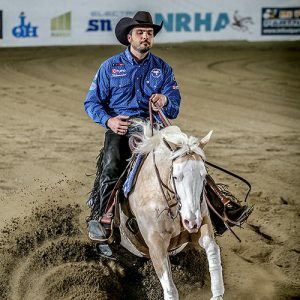 Topping the L3 division with a 217.5 score was Davide Brighenti riding AR Spat Snapper (Spat A Blue x Doc Snapper Bar) owned and nominated by Renato Fiorio. For Brighenti, who posted a 217.5. For the Italian Professional, posting the highest score in the in this division he rode to the lead with a multiple leg fracture. The bubble score to make the L3 finals was a 214.5. 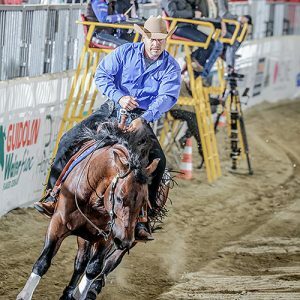 Those riders who did not make the finals had the chance to make it back to through the Open Consolation Run held on Wednesday, April 3. 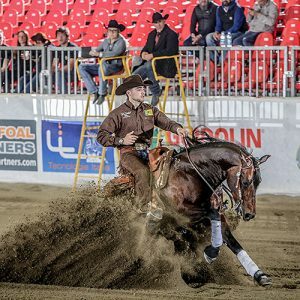 The NRHA European Futurity Open finals will be held on Saturday, April 6.